Big Bear Lake Truck Accident & Personal Injury Lawyers – Over Three Decades of Experience You Can Trust! Are You Looking for Trustworthy & Successful Truck Accident Personal Injury Lawyers for Big Bear Lake, San Bernardino, California? Huge trucks or semi-trucks traveling at high speed can result in a devastating crash or accident with brutal injuries or even fatalities. Because of their huge size, truck collisions, including those involving very large big rig trucks, referred to as 18-wheelers, often result in grave injuries and damages to the occupants of smaller vehicles such as motorcycles and cars. If you or someone you love has been involved in a tragic truck collision in Big Bear Lake, San Bernardino, California, or any other place in California, contact us now for a FREE CASE EVALUATION. Our experienced lawyers are proficient in personal injury claims, truck accident injury claims, car accident injury claims and wrongful death claims. 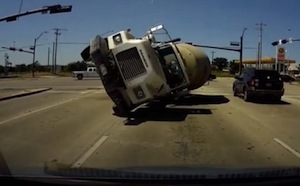 Different issues may arise in a truck accident personal injury claim or wrongful death claim. Thus, prompt investigation is advised. Truck accidents also occur primarily because of the massive size and weight of the vehicle. Large, heavy trucks, sometimes travelling too fast for conditions, with their great momentum often cannot stop in time when there is a stopped car, sharp curve or other types of hazard ahead. Another major issue pertains to driver fatigue; so one has to examine the route the truck driver follows, how much time the driver is given to complete the route, how many rest stops are allotted and for how long. Moreover, despite proper training, some truck drivers fail to adhere to road traffic regulations and even attempt to cover too much ground per day due to their drive to get more incentives sometimes based on results (e.g., arrival time) rather than safety considerations. This sometimes results in drivers falling asleep on the road, losing control of their trucks and causing horrific accidents and sometimes fatalities resulting in wrongful death claims. If you’re injured in a truck collision or have any other personal injury claim in Big Bear Lake, San Bernardino, California, you should contact us now for a completely FREE CONSULTATION. There are many time deadlines and procedural rules so there is NO reason to delay, especially because our consultation on accident claims is FREE and we work on a contingency fee which means there is NO fee until we WIN! About Big Bear Lake, San Bernardino, Calif.
Big Bear Lake is a small city in the mountains of San Bernardino County, California. Placed amidst the San Bernardino National Forest, along the south shore of Big Bear Lake in the San Bernardino Mountains, Big Bear is a popular four-season vacation destination in Southern California. In fact, members of our law firm used to vacation there during both the winter and summer. The city is situated about 25 miles northeast of the city of San Bernardino and near Lake Arrowhead. The population of Big Bear Lake was approximately just 5,019 at the 2010 United States census. Our aim is to provide you the highest financial recovery possible while we offer you the exceptional personal attention that you need to help resolve any property damage claims, manage your medical care and obtain the best settlement possible for you. Our aggressive yet compassionate attorneys and law firm have recovered more than $100,000,000.00 in funds for our clients. In fact, we provide our clients with instant help with medical care, medical specialists (such as orthopedic surgeons, psychologists and dentists), property damage repair and settlement. You can get more information about our truck accident personal injury & wrongful death lawyers and Law Corporation by visiting our home page and lawyer profiles. Do not hesitate to get in touch with our Big Bear Lake and San Bernardino, California truck accident injury lawyers and our legal team now for a completely FREE consultation and FREE case evaluation. Our consultation is absolutely FREE and on truck & car accident injury cases we work on a contingency fee basis – which means there is NO fee until you WIN!